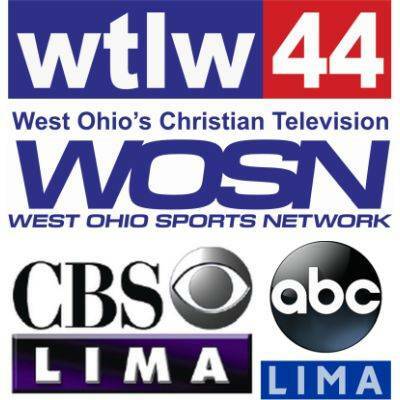 LIMA — Effective Saturday, viewers of WTLW-TV watching the Lima-based Christian television station with an over-the-air antenna will be required to rescan their television sets to continue watching Channel 44. Kevin Bowers, general manager of WTLW, said the station moved its frequencies Friday, meaning viewers who use an antenna must rescan their sets to continue watching WTLW 44.1 and WOSN 44.2. Re-scanning is when a TV finds all of the available channels in an area. Bowers said viewers do not need to purchase new equipment or services, and those who watch through a cable or satellite service do not need to rescan. The Federal Communications Commission is currently undergoing a nationwide effort to share consumer information about the more than 1,000 television stations that have or will be transitioning to new frequencies between now and July 2020. According to a statement from Jean Kiddoo, chair of the Incentive Auction Task Force at the FCC, viewers in the Lima area may have already seen announcements being aired on affected stations. Television stations are changing their frequencies to make room for new 5G and other mobile broadband services. Nationwide, an estimated 16.6 million households watch TV exclusively with an antenna, Kiddoo said. She said stations are changing frequencies on a rolling basis, so consumers will likely need to re-scan their television more than once. To re-scan, viewers will need to find the “Channel Scan,” “Channel Tuning” or “Auto Search” in the “Setup” or “Channel” menu of their digital television’s remote control or analog TV’s converter box. Once the “Channel Scan” or “Channel Tuning” button is located, viewers may simply choose the automatic option to rescan. Additional information on how to rescan is available at tvanswers.org. Frederick Vobbe, vice president/director of engineering for Block Communications, owner of Lima’s Your Hometown Stations family of networks, said WOHL-TV, which carries the station’s ABC and CBS affiliates at 35.1 and 35.2, respectively, will see frequency shifts sometime in the next 35 to 45 days. He advised viewers who watch local programming via antenna to rescan their TVs frequently. The engineer said simple rescans should resolve most problems viewers may experience. In an unrelated addition, Lima’s NBC station WLIO is now available on fuboTV, an independent live TV streaming service that is available on mobile phones, tablets, computers and TV connected devices, such as Apple TV, Android TV, Fire TV and Roku.